With 15 years in the trade John has promoted his talent and skill, spearheading projects with exceptional success. John Blazquez installed ceiling fans, light fixtures and an outdoor outlet. He is very professional and did a great job. He very kindly answered my many questions. 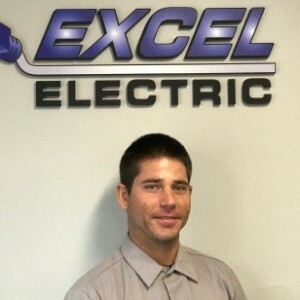 I would not hesitate to recommend John and Excel Electric. I recommend Excel electric very highly. Very good quality and nice people. Very satisfied from com initial contact to job completion. Will defiantly use again. Complete professionals. The team was awesome! John was on time, efficient, and left the job site cleaner than it was before he he started. I will definitely use them again! John Blazquez did a great job this morning. He not only fixed my electrical problem, he also found in the same garage that my GFCI had stopped working - something I suspected as it would not reset. He came on time, did an efficient job and was very informative regarding what had gone on with my electrical system. This is my second time calling Excell Electric and you will be my go to electrical repair for all things that go Zap! This is my 2nd time using this company. John B & his assistant arrived on time, were professional and courteous and got the job done in a timely manner. This job required scaffolding and they immediately got to work to get the job done. They were respectful of my home and cleaned up after themselves. 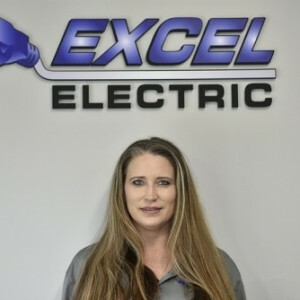 I will definitely be calling Excel Electric for any future electrical needs that we have. Great job! 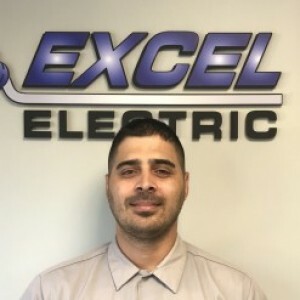 Had another great experience using Excel Electric. John Blazquez was a pleasure to work with and provided outstanding service. They did an excellent job and were very professional.